"All Roads Lead to the Grand Hotel Florence." 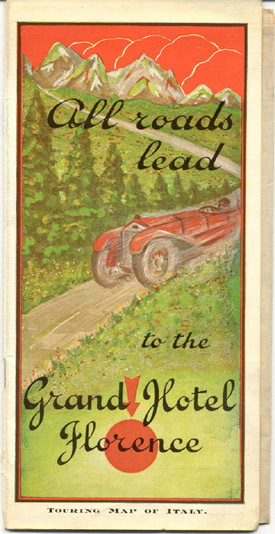 Travel brochure and touring map for the Grand Hotel, Florence, circa 1931. Signed "A. Molitor - Firenze."